Some of our supporters like a more tangible donation. Something they can wrap their minds around. 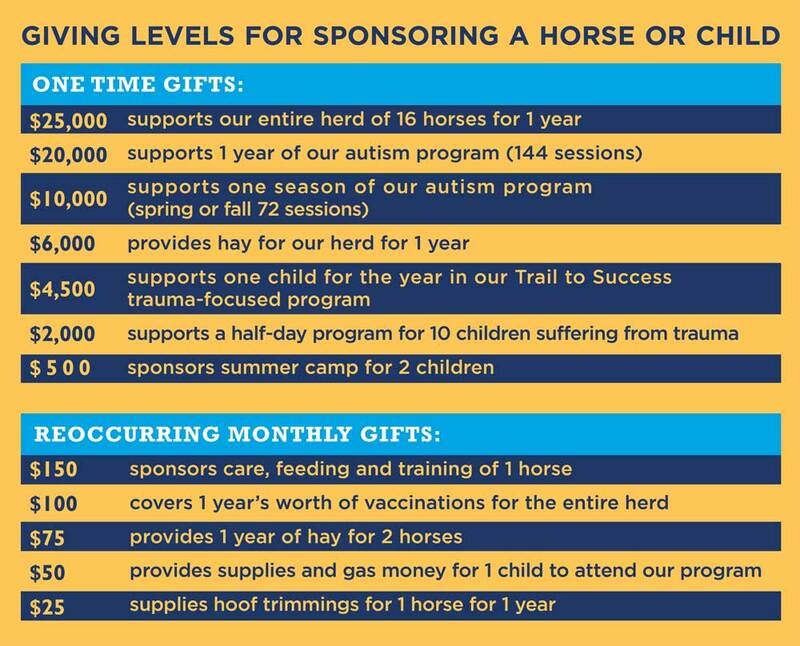 If this sounds like you, sponsoring a horse or child can be the perfect way to impact one of God’s most precious creations. By sponsoring a horse or child, you’ll enable us to offer our program free of charge to those in need. Though we provide all of our nonprofit services free –of-charge, that doesn’t mean we don’t have expenses. Horses and traumatized children require expensive care. We all need rescuing. That’s why God sent His son to be our Savior. Please consider sponsoring a deserving child or a rescued horse today! Thank you!